Just a quick note to say THANK YOU to all of my friends-- both new and old-- y'all have been a tremendous blessing to us. Your cards, visits, phone calls and especially prayers have really ministered to us. 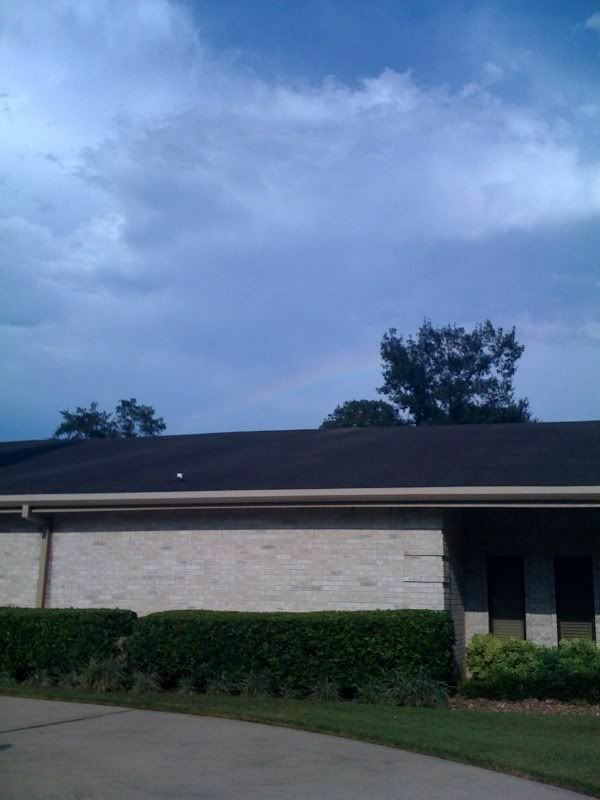 This beautiful rainbow is from this past Friday evening, the night of Christian's viewing. It was right behind the funeral home... hard to tell in the first picture but it's right above the roofline. 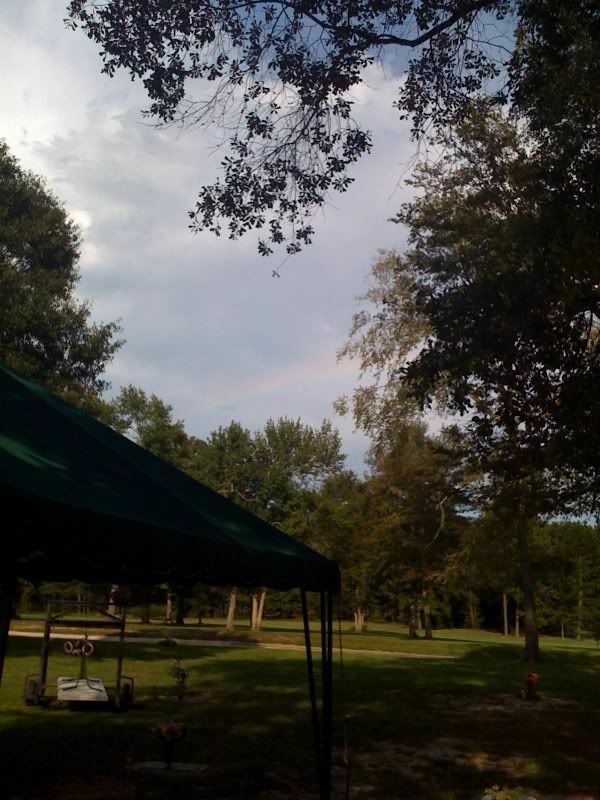 I know it sounds hokey to some or coincidental, but *I* know that this rainbow was for me and my family. This rainbow without a drop of rain (at least where we were) was God reminding me that HE IS FAITHFUL. And that HE KEEPS HIS PROMISES! And let me tell you, my dear dear friends, He really does!! !